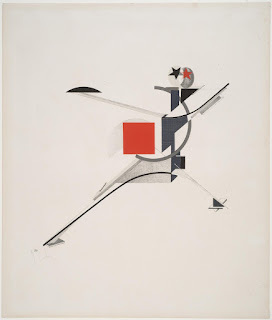 I went to the 'Red Star Over Russia' exhibition to have a look at the work before the exhibition closes. 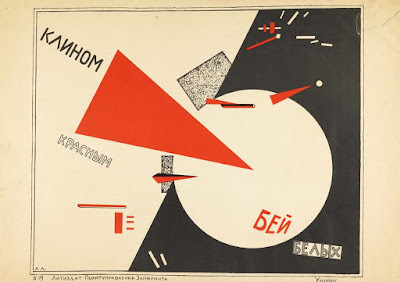 It shows the visuals accumulated over decades by designer David King, telling the story of how the Soviets strove to create a new visual identity in the revolution. I really enjoyed the exhibition, and it was fairly useful for this project too. A lot of the pieces of work had a limited colour palette, and yet were able to communicate so much. 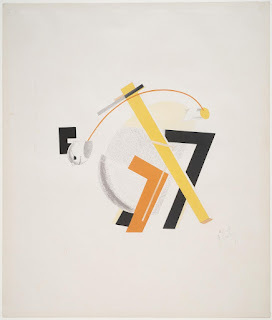 One of my favourite pieces was 'Beat the Whites With the Red Wedge' by El Lissitzky. I really like the abstract approach, using geometric shapes in a collage style to convey an important message. I liked the photos with cut out pieces in them, clearly edited to remove people from photographs, like an early version of Photoshop. People are cut out, leaving menacing holes. 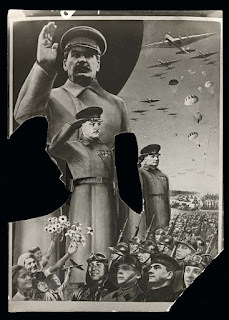 Citizens often did this to photos out of fear, and used different methods such as ink, scissors and knives. 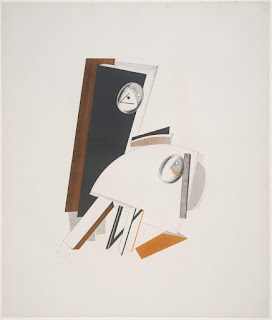 This series by Lissitzky was my favourite part of the exhibition. I like the simplicity of each piece, and how although they are different, they come together well as a series. 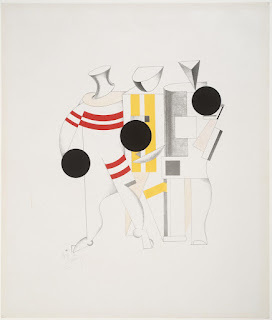 I like the colour palette used, and the use of geometric shapes to create figurative forms.